Maribel is the one to see! units are clean and secure and they have large carts to help move your stuff..marbles amazing customer service is what brought us in. she took really good care of us and listened to all of our needs.. I am happy we chose to rent here. Yes...seems like a great facility. Friendly, clean and efficient! Great storage facility. Marinol was very friendly, professional and knowledgeable. The facility was very clean, secured, and well lit. The entire process from viewing the unit to the renting of the unit was quick and easy. I would recommend this facility to anyone looking for a storage unit. Conveniently located in Council Bluffs with one month free rent. Maribel is very knowledgable and helpful. Friendly, efficient staff. Great facility. Will definitely recommend! Friendly, polite staff. We appreciate their concerns for our specific needs, and being offered options of size and location of units. Clean, well maintained facility. Great location! Easy access, but still secure. So glad we chose Affordable. Will be adding another unit in the near future. Thanks, Maribel! It is great doing business with you and your company. Maribel-Facility Manager was informative, professional and courteous. I would recommend this facility to anyone in need of storage. This facility is well maintained and clean. I am totally impressed! very understanding. able to explain billing and late fees so i dont forget when i am due and when. The “locked” doors are always unlocked, the “security” gates are always open. Customer service is terrible. The emergency number no one ever answers and when asked about the “emergency” number on the door, we got told it was the wrong number. There are people selling things out of their units and sharing their codes to get into the units. Extremely overpriced. Would never recommend this place to anyone. Not even gonna lie this place is the best. Customer service was bomb and the price is super affordable. Great service renting the storage space. Marabel is super! Everything was explained in good detail. The storage space is clean, door works well, all was very much to my satisfaction. Happy with service so far!! 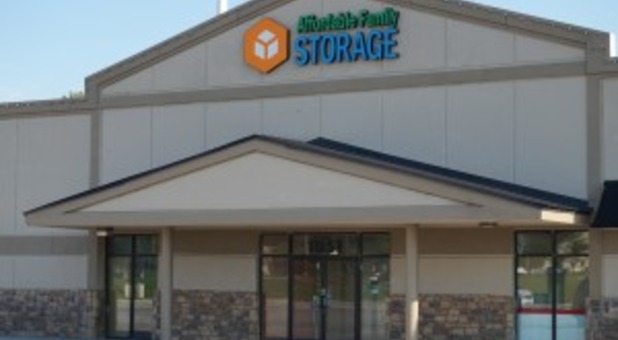 So far we are very happy with the customer service and friendliness of Affordable Family Storage at the Council Bluffs location. Thank you Maribel Mora for all your help. We are out of state and preparing to move out daughter's dorm items into storage this coming weekend and appreciate how easy Maribel is making it for us. Thank you again. Best place to store your belongings! This place has the best prices! I rented out a unit on the second floor which I thought would be terrible at first but with the elevator and carts they provide, it was a very VERY easy moving process. When I was moving into my unit, I talked to 3 other tenants who had nothing but great things to say about the facility and Maribel which is the manager. She was fantastic and exceeded our customer service expectations. We will recommend this place to family and friends. This place is amazing! The price is super low but the quality is spectacular. The customer service was great as well. The woman at the front answered any questions we had. We had a lovely first experience here. Awesome customer service great storage units very affordable!!! Maribel mora is the girl to see!!! Maribel is a great property manager! Maribel made a simple mistake as any human does and called me back as soon as i emailed her my issue. She came all the way to the unit on a Sunday to fix it! Shes always been polite and was very helpful at helping us find the right size and type of unit! She is very considerate of peoples concerns and very willing to help in any way she can! Great job guys keep up the good work! Just moved into town. I was able to move all my items in the same night. Very close to home. Impressed how well-kept and clean the facility is. The storage unit is exceptionally neat and clean. Maribel was very informative and to the point. Readily available to show me the unit. I would recommend Affordable Family Storage to anyone. We are brand new to Council Bluffs so I called all of the storage places in the area. The first thing that drew me here was the fact that a real person answered the phone who really worked at this location. It wasn't a big commercial shop. Secondly, they had the best prices which is obviously a big deal and lastly, the staff (mine was Maribel) was incredibly helpful and friendly. They didn't make me feel like I was annoying them by having them do their job. Thank You! I like that it is gated and secured. I also like that it is climate controlled. Maribel was very nice with showing us the unit. Very friendly. This place is amazing. I definitely went to the right place. Not only was the staff super helpful and friendly, they fixed my problem of needing a space for my stuff! I rented a second-story unit with a little hesitation of being able to move my things in and out by myself. It was much easier than I had expected, as carts and elevator were easy to access. In the process of moving my things out, I lost an item through a small opening that was in the floor of my unit which fell through to the first floor opening. Management was very helpful in trying to retrieve this item, however, was unable to retrieve it. Management reimbursed me for this item, which I must say, really pleased me! Staff was very polite and helpful. I would definitely use this facility again! Thank you so much for the kind review Diane! We appreciate your recommendation!